DIY Home Calendar and a FREE Download! Mama Say What?! | Mama Say What?! DIY Home Calendar and a FREE Download! 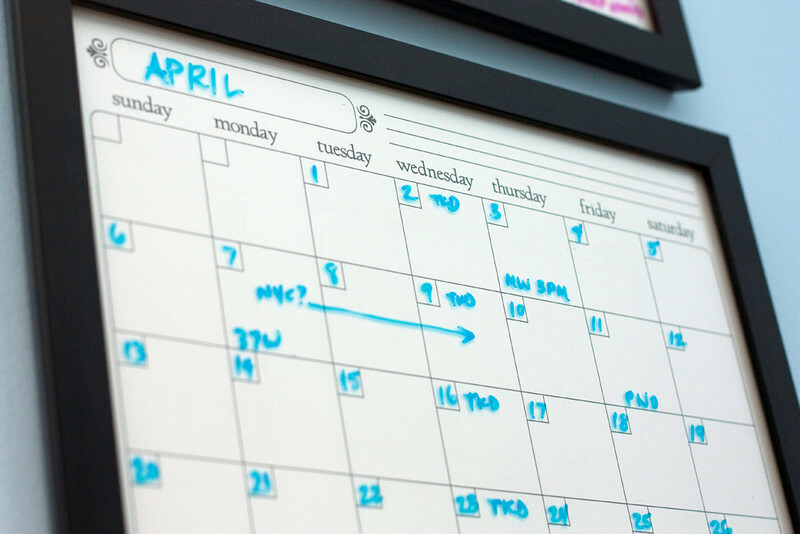 I need to have a calendar within sight while I’m working and planning my family’s life. I’m a very visual person and need to physically see the days ahead of me. If I don’t write down appointments, trips and events, they will disappear into the vast, empty space that is my pregnancy and mommy brain. The calendar in my iPhone isn’t enough for me, I need to physically write these things down and be able to simply glance at them to know what is coming up. I used to buy a paper calendar every year and hang it on the wall in my office, but I forgot this year and decided to use the opportunity to try something different. In my Etsy shop, I sell pre-designed calendars that can be printed and inserted into a 16×20 picture frame. Then, the glass becomes a dry erase board. Given that I have been selling them for over a year now, I figured it was time I design one to suit my own needs. The space on my wall was perfect for a couple of 11×14 frames, so I used two plain black frames that I already owned. I had a 50% off coupon for JoAnn’s already in my wallet if I needed to buy new ones. 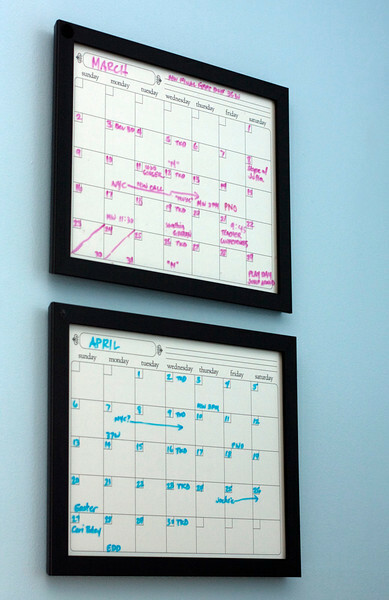 Depending on the decor where you’d like to hang your calendar, go with prettier frames. 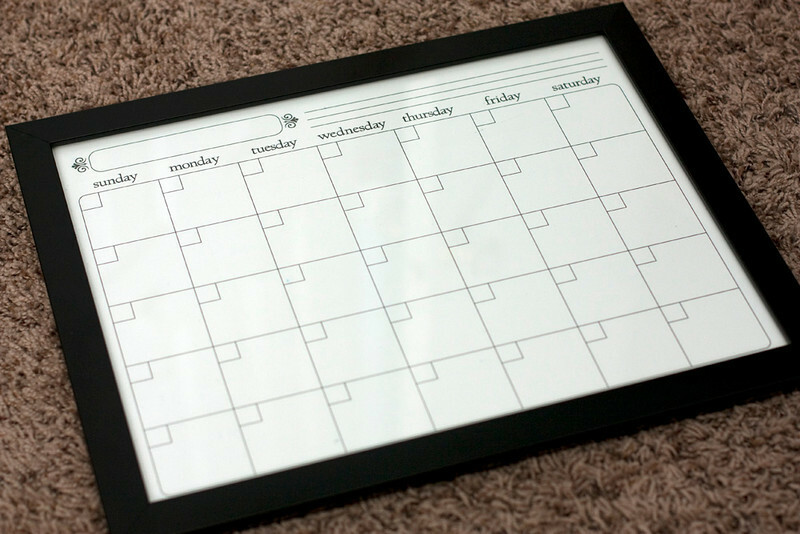 I printed two copies of a simple calendar on my home printer and inserted them into the frames. A couple of nails went into the wall, I cleaned the glass and they were ready for dates, appointments, classes, trips, birthdays, you name it! Any little notes or reminders can be written on the lines at the top of the month. So far it’s been working pretty well. My plan is to move the bottom month up to the top once that month starts and then fill in the information for the next month on the bottom frame. I have space on the wall to add a third calendar month if I get to a point where I need that much advanced planning, so I will revisit that option if it becomes necessary. 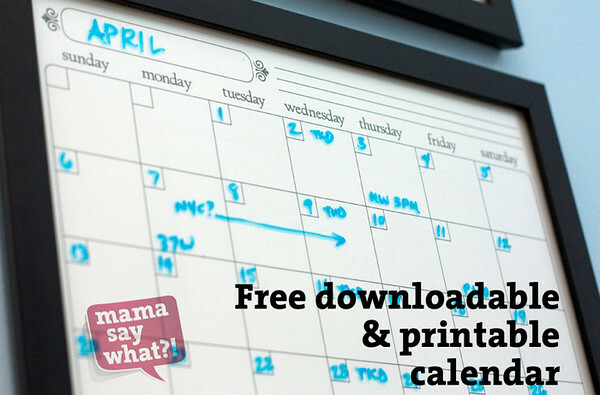 I have made the 11×14 calendar page available as a free download to Mama Say What?! readers. Just click on the link below to download the file. Print as many as you need. If you don’t have a printer that can print 11×14, simply take the file to a local print shop like Staples or FedEx/Kinkos or order it online thru a site like Shutterfly or even Costco or Walgreens. 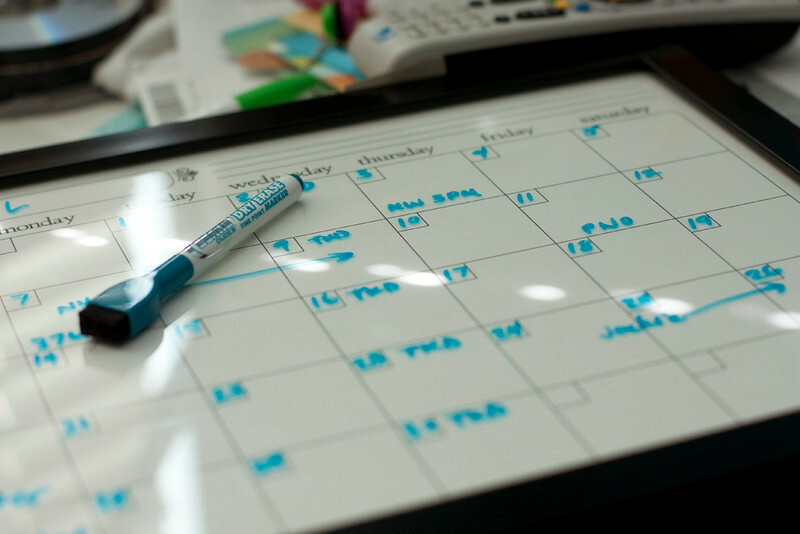 How do you keep your family’s day-to-day activities and events organized? Added by Alex T. on March 22, 2014. 4 Responses to DIY Home Calendar and a FREE Download! This is fabulous! Thanks for providing it for free!! Having two months up and visible at a time is such a great idea! Absolutely love this, I need to write things down so I can see it everyday and know what’s going on, now with a larger more visual calendar my husband might just remember things too.